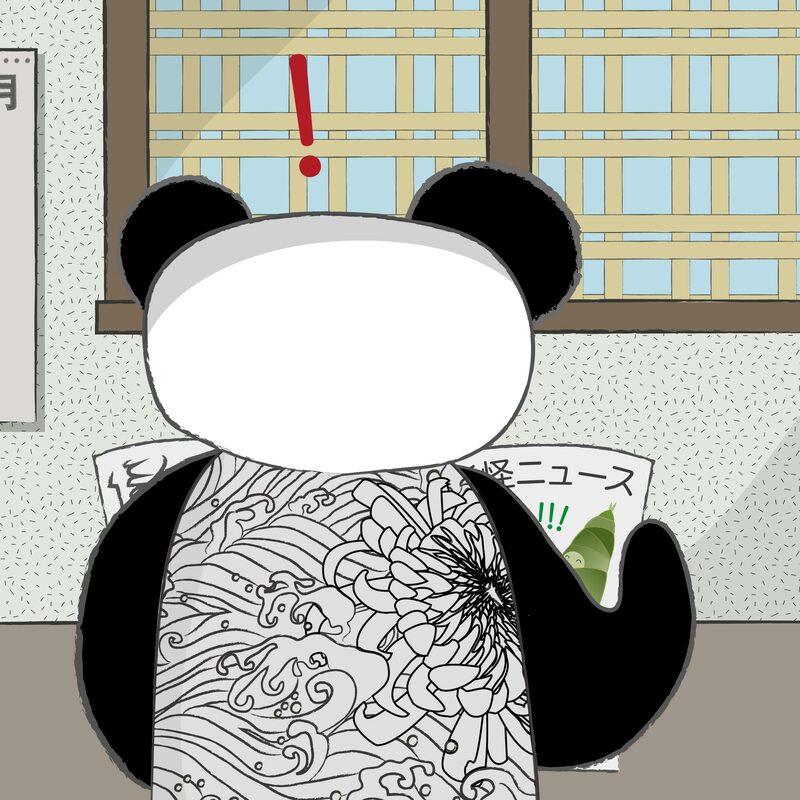 One morning, in late April, Boss Panda was reading the ‘Yokai News’, when he suddenly let out a loud cry of alarm. Miko was folding towels for the bathhouse and jumped in fright, dropping a towel on the floor. “What is it?” she squealed. It was unlike the gruff bear to make such a sound. 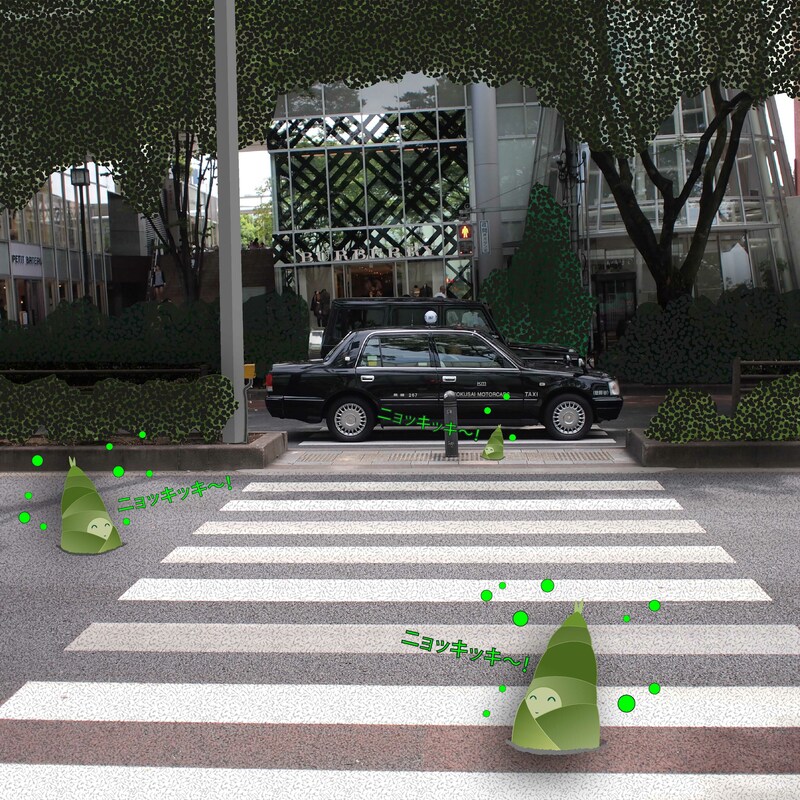 “The takenoko are sprouting” he said, quickly dropping the newspaper and hurrying to the bathhouse entrance. Miko and Kiku looked at each other, confused. Kiku continued, “I’ve read about it in the seasonal almanac Boss Panda gave me, although they aren’t mentioned in there until May 15th and I was having trouble translating the text – it must mean that by that date they are well out above the ground and growing strong. 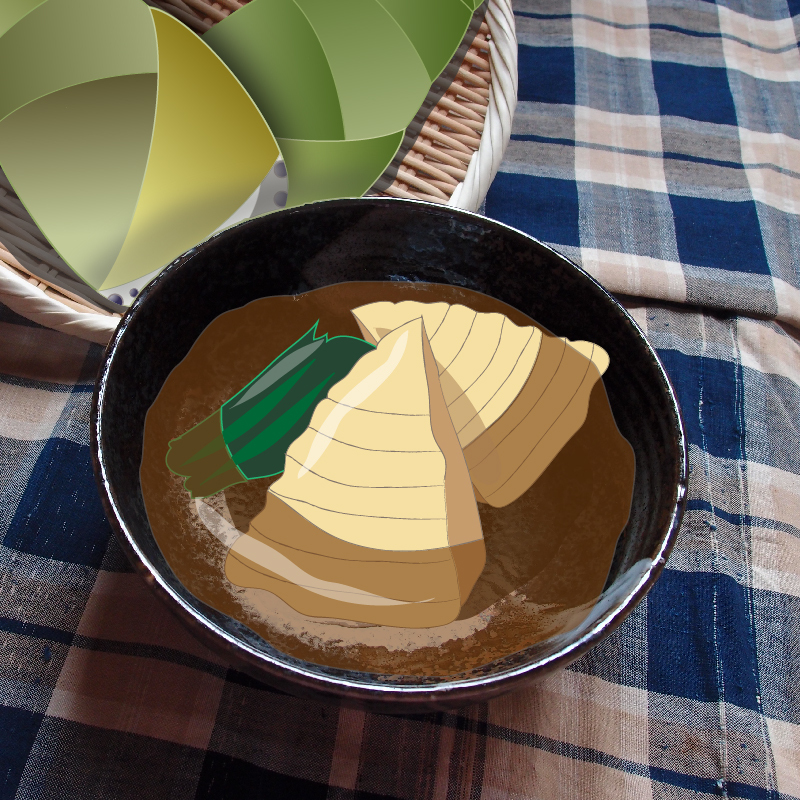 Japanese people have a word which describes the sound of a bamboo shoot growing, because they grow so fast, you can hear them! Kiku smiled. “Well, the sound is ‘nyokki-ki!’ (ニョッキッキー! 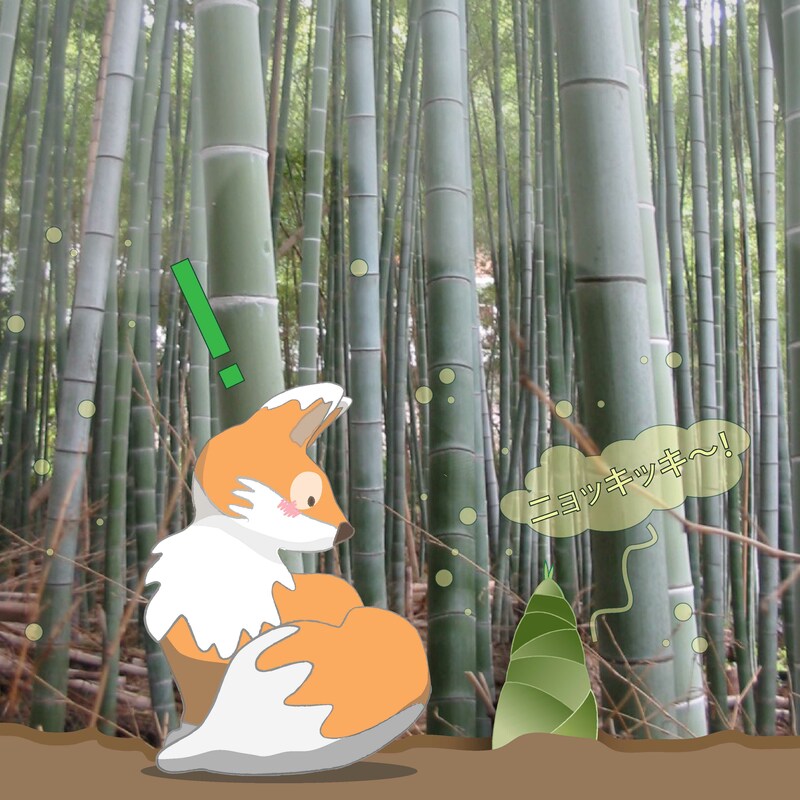 ), and children sometimes pretend to be bamboo shoots growing from the ground and make that sound”. At a pedestrian crossing, the road surface began to crumble in different places, and small smiling bamboo babies began to appear! The three friends had to walk carefully out onto the crossing to begin prizing up the giggling little plants, before dashing back to the safety of the sidewalk. 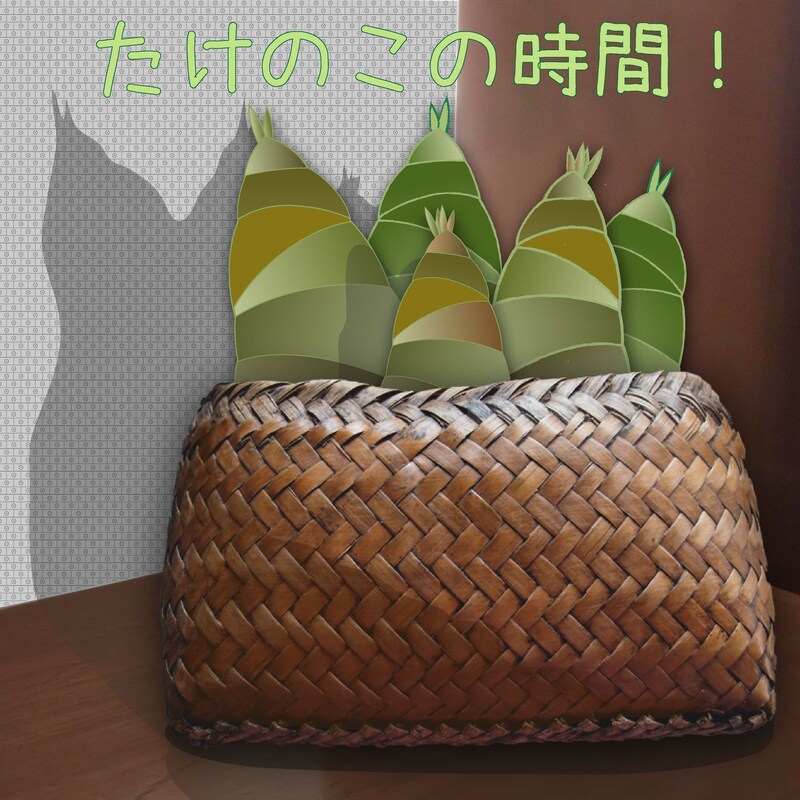 They watched as a taxi narrowly missed driving over one shoot, and then when it was clear to walk, they rushed out and dug up the takenoko, putting it into a basket the panda had brought along. After about half an hour, they had collected a basketful, and Boss Panda declared “That looks like all for today. Let’s get them back to the bathhouse where they are out of harm’s way”. 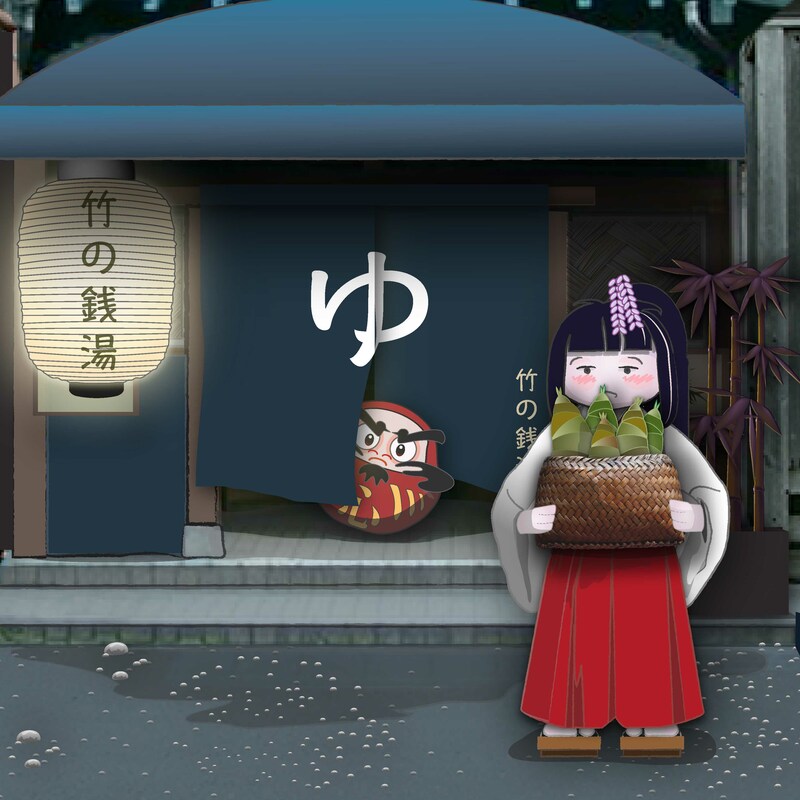 Back in Nishi Taishido, Miko carried a basket of takenoko into the bathhouse building, wondering how long the little spirit plants would stay, and hoping they would not upset DokiDoki Daruma.